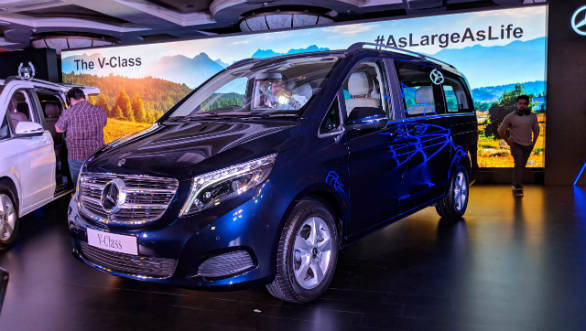 The first launch of the new year for Mercedes-Benz India is the V-Class luxury MPV, prices starting at Rs 68.40 lakh ex-showroom for the Expression trim. 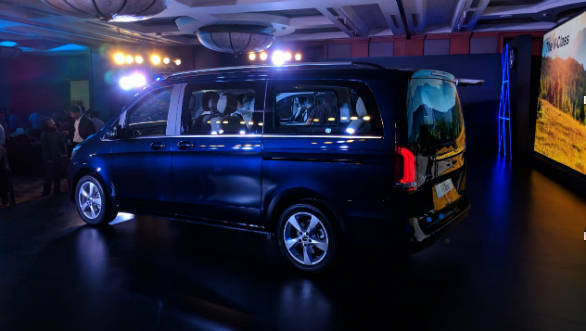 With no real competition in the segment, the V-Class will hope to stand out by being the lap of luxury for in excess of five passengers. 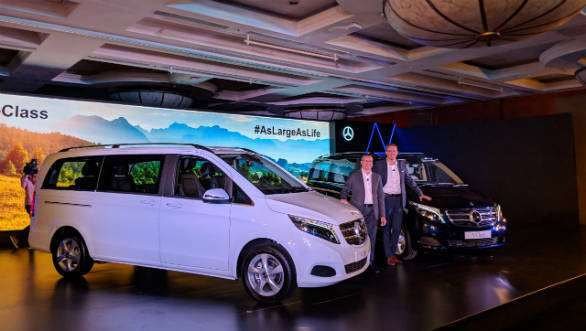 The V-Class is available in Exclusive (six-seater) and Expression (seven-seater) variants, with all the comfort and luxury expected from the three-pointed star as standard. The V-Class enters the country as a CBU import, and is powered by a BS6-compliant 2.1-litre diesel engine. The Exclusive trim costs Rs 81.90 lakh. With a length between 5.14m and 5.37m, there's no hiding that this is a large van but the V-Class carries front-end styling similar to the rest of the Mercedes-Benz line-up. Depending on the trim, it will ride on 16-17-inch wheels. Coming back to the powertrain, the V 220d comes with a 2.1-litre turbocharged diesel mated to a seven-speed automatic. The engine comes with BlueEfficiency, assisting in its BS6 compliance. Power figures stand at 163PS and 380Nm of torque, which help the MPV cover the 0-100kmph dash in 10.9 seconds, and on to a top speed of 195kmph. The Exclusive variant comes with selective dampers which adapt the suspension to the driving conditions. More important are the interior configurations - and the electric sliding door for ingress and egress into the second and third row. The six-seater Exclusive is available with a dual-tone cabin, and six individual captain seats, with the second and third row seats faced towards each other. Fold-out tables and Burmester 15-speaker, 640W audio system can be specified as well. The seven-seater Expression variant comes with dark interiors, and a bench for the third row instead. Interiors are inspired by previous-generation of Mercedes-Benz sedans, such as the E-Class, and are built to the same high standards. Flexible seating configurations aside, the boot is offered with a separately opening glass window, and the bootlid is electrically operated in the Exclusive variant. Speaking of, the kit that's standard on the more expensive Exclusive variant includes 17-inch wheels, fold-out tables, nappa leather upholstery, selective damping suspension, ambient lighting, 360-degree reverse camera and LED headlights. Safety systems include six airbags, Active Park Assist, 360-degree parking camera, Attention Assist, and Pre-Safe.